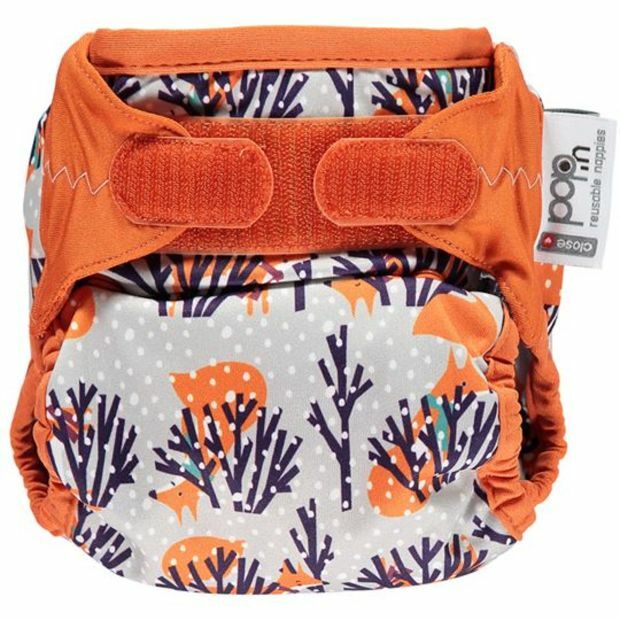 The Pop-in newborn nappy is an affordable way to bridge the gap between tiny baby and birth to potty sizing. Unlike the standard one-size Pop-in, it is specially designed to be used on a tiny or premature baby straight from birth. 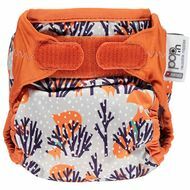 The front section is contoured to sit below the umbilical cord rather than over it, and the nappy itself is much slimmer and intended for the lower wetting, high frequency changing those first few weeks bring, with up to 10 changes a day. It is still 100% Pop-in with all the same trust and reliability, but with some new materials and new ideas! Unlike its older sibling, the outerwrap can be easily be wiped clean and re-used if not soiled, leaving you to just switch the soaker over come change time...easy! The clever double sided design means you can choose, 100% soya… known as vegetable cashmere or stay dry suede cloth against baby’s delicate skin.